Radiobit Sistemas, S.L., we are a company founded in 1994 that works under the commercial brand VIGILANT. 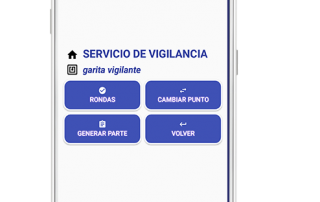 Currently VIGILANT is opening foreign markets, especially in Mexico and Colombia, mainly through our customers in Spain. We take care of the entire process, from the beginning of “the idea” to the final product we deliver to our customers, in the form of solutions. We are manufacturers, that means that we control the whole chain of creation of our products. We have our own R+D+i department, made up of engineers from different technological fields (IT, Telecommunications, Industrial, etc.). We are specialists in electronic products and computer developments in the cloud using the latest technologies (NFC, M2M, GPRS, Rfid, Ibutton, etc.). Offering technological solutions based on the Internet of Things (IoT) and SmartCities, to cover the needs of control and supervision in companies with off-site employees. All this allows us to offer a global solution for Time & Attendance control, to customize and to integrate this solution with the client’s system. Contact us and we will answer any questions you may have. We will contact you as soon as possible to attend your request. You will keep informed of our news and everything related to our activity.